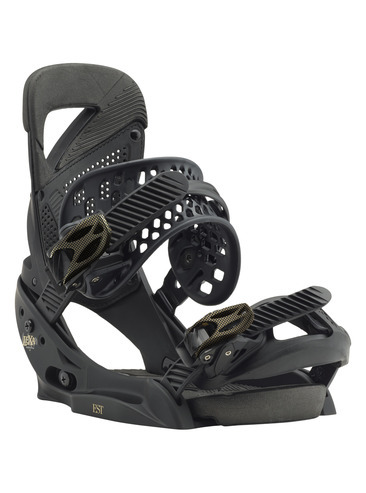 Boasting legendary all-terrain performance, it’s no wonder the Lexa binding is a top pick for a whole host of Burton (and non-Burton) pro riders. Double Take buckles with Insta-Click get you strapped in fast and dropping first. The Asym Hammockstrap™ and Supergrip Capstrap™ combined with a supportive Heel Hammock in the hi-back cradles your boot in supporting comfort. Experiment with the hi-back’s Zero Forward Lean for a more playful feel while treating your body right with the anatomical comfort of AutoCANT cushioning.